I’m John Hibbs, a (vintage) Duck, with residence in Eugene, Oregon. I’m- an ex Green Beret, did course work at the London School of Economics, hold an MBA from Golden Gate University in San Francisco. Then, for eleven years I worked for America’s largest trading company, most of those years in Seoul, Taipei and Singapore. In total, I’ve lived abroad for nearly twenty years. For the rest, please click here. These days my mind is on the RMS Queen Mary and the truly extraordinary, one-of-a-kind opportunity she represents. I contend the Queen is “The Richest Treasure Ship In All History” and “The Brightest Star in the Entire Maritime Galaxy.” Soon, I will post extended commentaries and graphics about optimizing Queen revenues and sales value — all of it a direct result of two full decades promoting e-learning the friends and contacts made from all my activities. We are now in the second half of the second decade of 21st Century and deep into the wonders of the Digital Age. P.S. 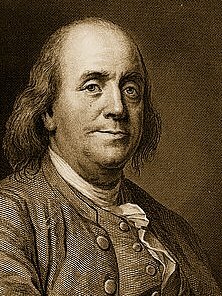 About the http://www.bfranklin.edu? I’ve owned that domain for 22 years…when the Web was just new to all of us. If plans go well very soon we will find ways to put the WOW! back into that (much neglected) website.